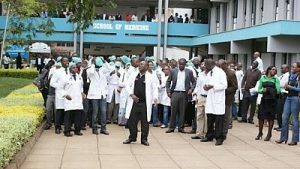 A Kenyan doctor has penned an emotional and passionate letter on why he won’t return to the hospital before his pay dues are met. 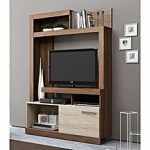 I seek your audience. Please take 6 minutes for this. 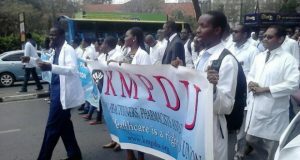 You will understand why as doctors, we have refused to be bribed by any amount of money to listen to a killer government. A few days ago, I again ‘superintended’ an 11 year old girl panting her way to death. She lay face up, dry mouth agape, chest moving strenuously, her cold feet apart. Her mother, sitting on her bedside, was softly crying, holding her daughter’s hand from 7 in the morning to 1 in the afternoon when she passed on. This child needed renal dialysis, among other services that I could not offer. 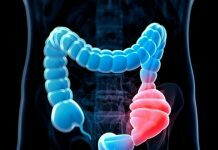 She had lost kidney function due to volume depletion, occasioned by massive diarrhea. She arrived to our health facility too late, too dehydrated, her home being 5 hours away from a doctor, on a bodaboda. Not even extensive dehydration could save her. Her poor father, in a white Kanzu, had left his goats to a friend in a far off grazing field after the mother sent for him, the situation having turned for the worst. He was fumbling with the Islamic prayer beads, terrified. He comforted his wife, that ‘ni amri ya Mungu’. The girl’s teenage brother was outside the ward, crying helpless, making frantic calls to people who seemed as helpless. I was equally terrified, and guilty at the same time. I was as helpless. The government has failed me. It has failed our people. In the county I work in, there are 12 of us. 3 pharmacists, 8 medical officers and one dentist to serve a whole county, with 57 health facilities including two 24-hour level four hospitals. Very few doctors are willing to work here, due to the disadvantage of low development and general harsh conditions. The few who are here are restless. Like the ones who came before them, it will not be long until they find better options. There has never been a surgeon, pediatrician, gynecologist, clinical pharmacist or any form of specialized doctor in this county. Never. There is no hope for any. 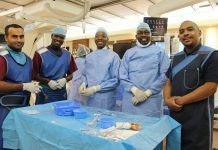 Those released from the county for specialization choose to pay off the bonding months so as they practice in Nairobi and its environs or abroad. 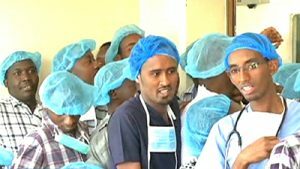 The county cannot handle any type of surgery other than those of simple tissue, and straightforward caesarian sections. 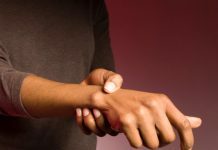 Any other complication requiring any sort of specialized care is swiftly referred, 3 to 8 hours away. Even there, there is hardly any specialist. Patients are referred as a show of concern, but deep inside, doctors know that almost nothing can be done, even after the gruesome trip in poorly ventilated pick-up ambulances. 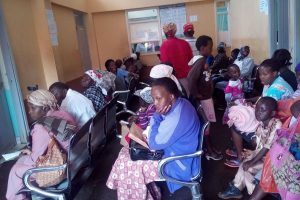 Patients wait without hope at the Thika Level Five hospital. For the 5 years I have worked here, I have ‘superintended’ more deaths than those that have happened during the strike, times over. Even when on duty, I am unable to save lives as I should. There is no more than 2 general surgeons serving in the cluster of 5 counties I work in. This means that citizens living in these counties are killed by simple bodaboda head injuries and normal physiological processes like pregnancy. Doctors helplessly watch this. Patients wait to be assisted at the Moi County Referral Hospital in Voi Taita Taveta. Death is painful to anyone, even the poor. Death is painful when you watch it every day, forced onto poor families who cannot afford daily bread. It is worse when you know that as a country, we can afford to prevent these deaths. It is heart wrenching when it happens under your watch, daily, for years on. Doctors cannot take this anymore. 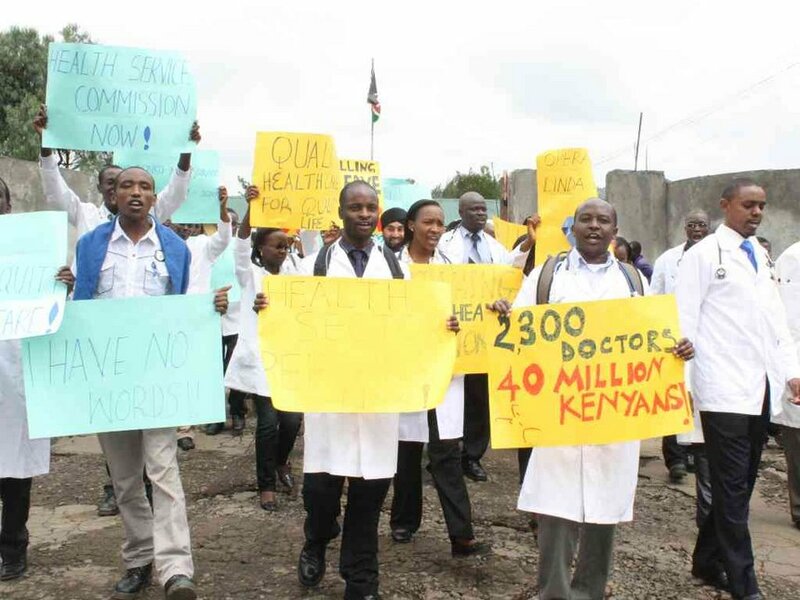 To make sure that life is protected, every county, however underdeveloped, needs doctors. A country deep into wastage can afford to attract and retain all specialties for every county. We can train the specialists we are in shortage of, if need be. A country that can afford to make an impromptu, non-budgeted for 1 billion shillings bail out to miraa farmers on a campaign rally can afford to make health care accessible in its finest form, to every citizen. President Kenyatta’s government says that there are 97 referral hospitals in Kenya, 2 in my county too. As the said kid passed on, the dialysis machines he commissioned in our ‘referral’ hospital are intact in their boxes, the rooms never been opened since he launched them (lol). There are no specialists to run them. The buildings that are to house the machines in the second referral hospital are yet to be roofed. This is the case across the country. How can a government lie to us, every day, as its citizens die on daily basis, when government officials get treated in foreign countries, and getting homecoming parties, 100% on our taxes? Why don’t we train, equip, employ and retain our own doctors? Why don’t we improve the healthcare of our country when we can afford to? The problem is in our leadership. Our leaders go abroad for treatment, so whether local hospitals serve as deathbeds or not does not bother them. The citizens do not know what is good health care; death is treated as ‘amri ya Mungu’. The middle class are too comfortable with company-provided medical insurance to know the truth. 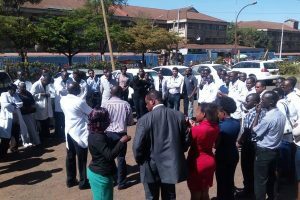 Medics at the Moi Teaching and Referral Hospital. God forbid, if you get an accident as you drive home one day, you will get my point. Your unconscious body will be dropped off in the next district hospital by well-wishers. God forbid if you ever need a 3 minute specialized care to save your kids from being orphans. Your card will not help you. This is what happens to Kenyans daily, only that they get injured from bodaboda accidents, fall from trees, matatu collisions, snake bites; name them. What is wrong in such poor citizens accessing the same standard of Elastoplast-removing doctors locally? In Maua General Hospital, or Msambweni hospital, or Lodiping dispensary? Why are there two sets of citizens? Does a poor man’s life matter less than that of a politician? Why can’t Munya have his child delivered in Meru level v hospital? The doctors have managed to make the government sign a commitment to improved healthcare. This document is the CBA. The doctors are willing to go to jail, 5,000 of them, to make the government treat all citizens equally.